The American journalist and author Leslie Kean also appeared on The Dylan Ratigan Show on MSNBC at end of August 2010. 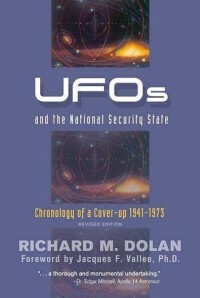 She talked about her new book: "UFOs: Generals, Pilots, and Government Officials Go On the Record" - Watch Leslie Kean here - Watch the famous physicist Micho Kaku on the Dylan Ratigan show as well. The former White House Chief of Staff and leader of Obama's Transition Team is writing the foreword to journalist Leslie Kean's coming book: "UFOs: Generals, Pilots, and Government Officials Go On the Record". Podesta is lending his name to Kean's laudable CFI-effort (Coalition for Freedom of Information). Brilliant! However, not everyone is happy. At the end of an article on the Weekly Standard's website Daniel Halper insinuates that Podesta is a "conspiracy nut". Furthermore, Halper has the cheek to claim that Kean's book is laced with paranoia. We admit that we have not yet read the book, but we have valued her work in the past and expect that Kean has good sources to back up her claims. In our minds, "paranoia" means a fear that is irrational or delusional. Halper should choose his words more carefully! 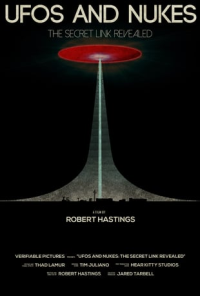 Especially because, when reading his article, one gets the feeling that he has limited knowledge of the powerful testimonies from scores of credible UFO-witnesses of high rank and station. And by the way, has he studied some of the key UFO-documents which have been declassified under the Freedom of Information Act? There is plenty of strong evidence to suggest that there is a cover-up. Or rather several cover-ups. (See e.g. John Callahan's witness testimony). We would therefore assume that Kean's book is laced with a rational and healthy concern based on credible sources, and not with paranoia as Halper writes with impudence. Read Daniel Halper article on the Weekly Standard here. EU countries to declassify UFO-files? McKinnons's mother on the ballot?